An illustration from a 1911 issue of Good Housekeeping magazine. 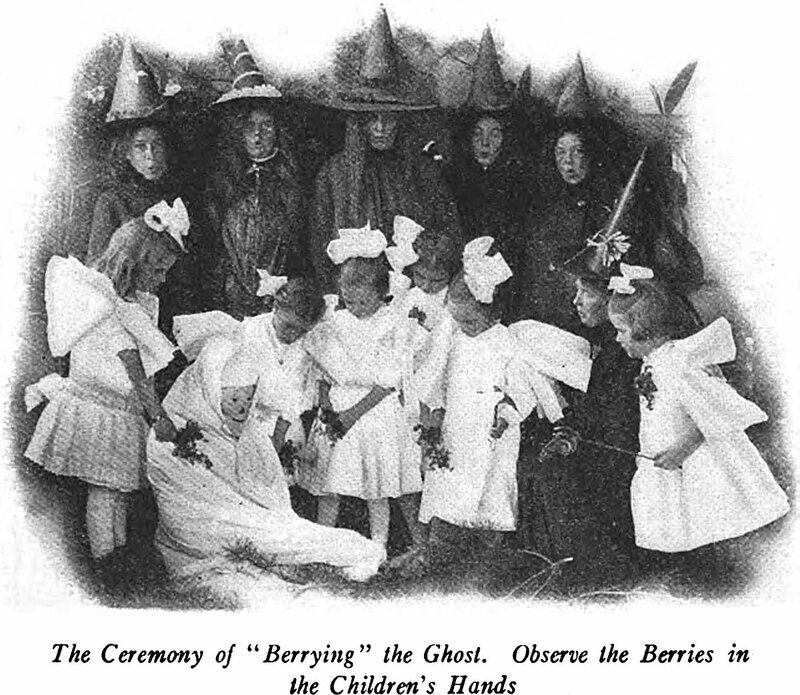 The caption reads: "The ceremony of 'Berrying' the Ghost. Observe the berries in the children's hands."